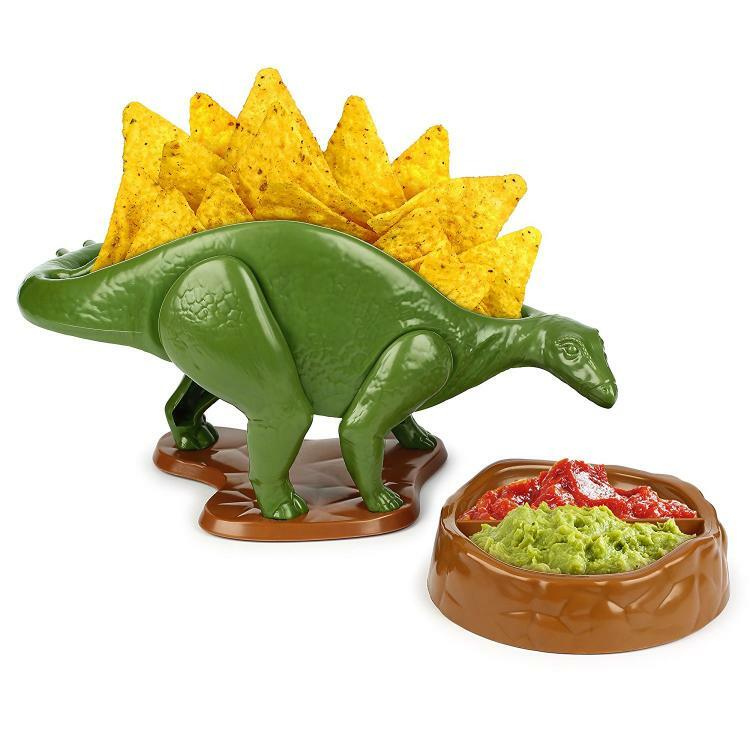 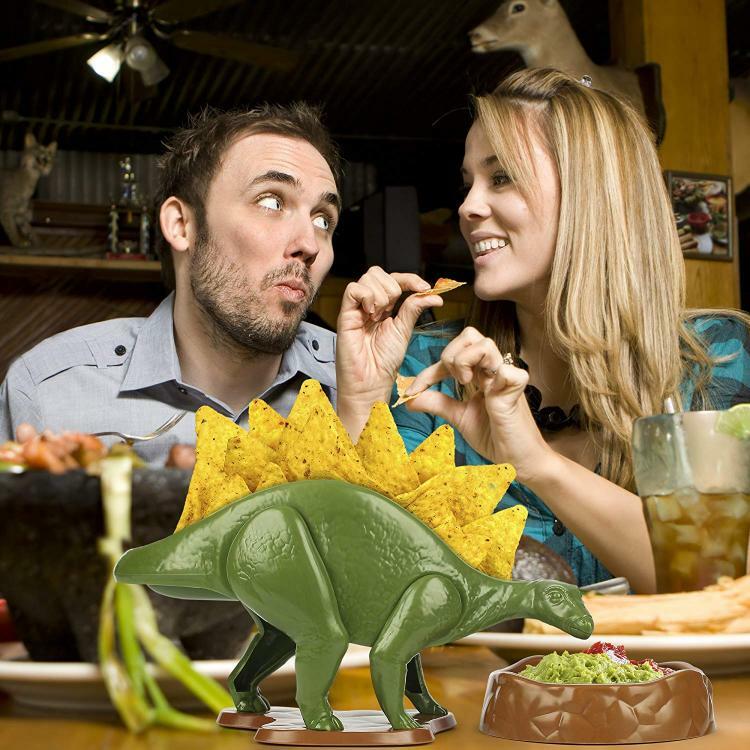 You've seen the TriceraTACO dinosaur taco holder, now it's time for a dinosaur snack bowl and dip set, and this time it's called NACHOsaurus! It's a stegosaurus, which has an open snack bowl on it's back, and when placed perfectly, some pointy chips will make up the dinosaur's dermal plates on its back. 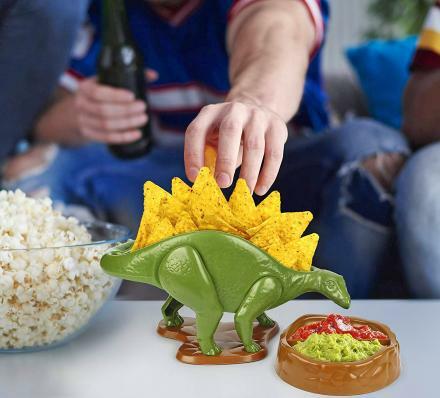 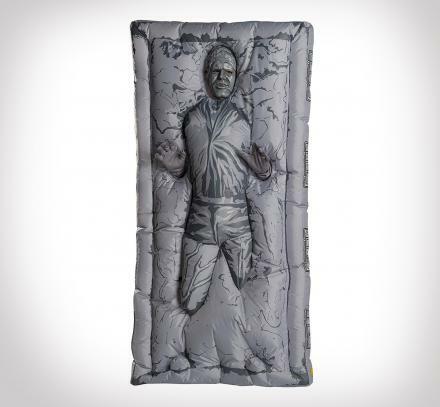 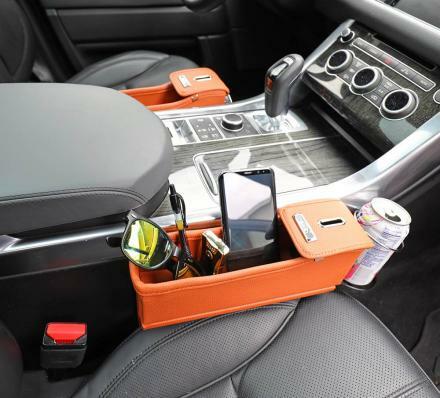 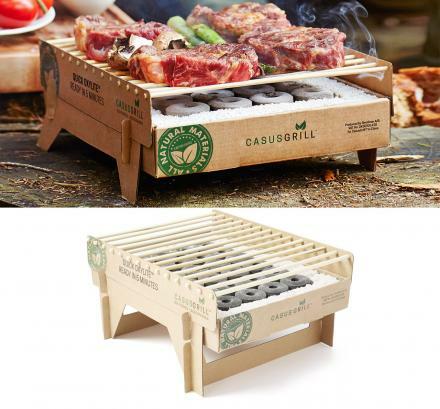 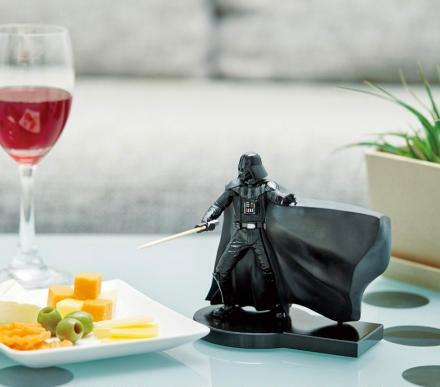 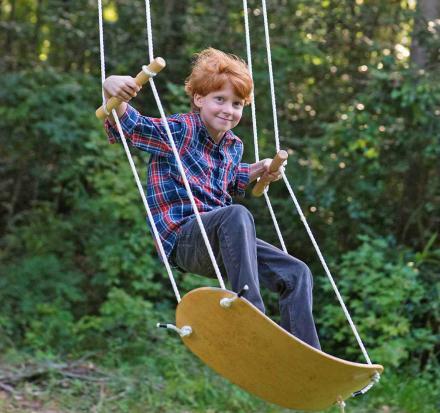 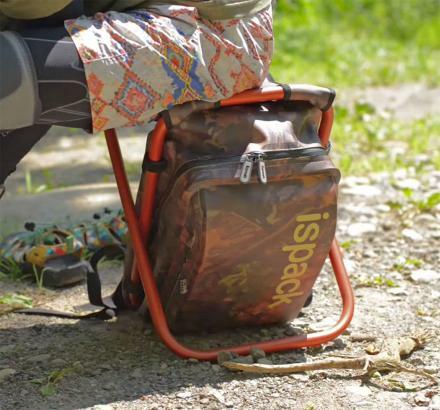 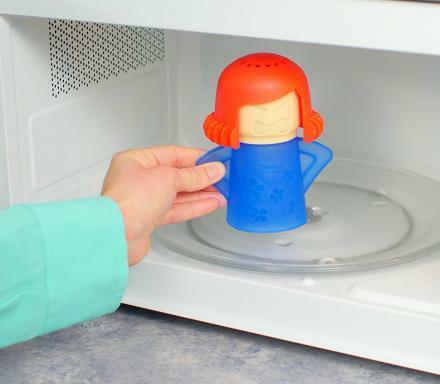 It also comes with a corresponding dip bowl that's perfect for dip, salsa, guacamole, and more. 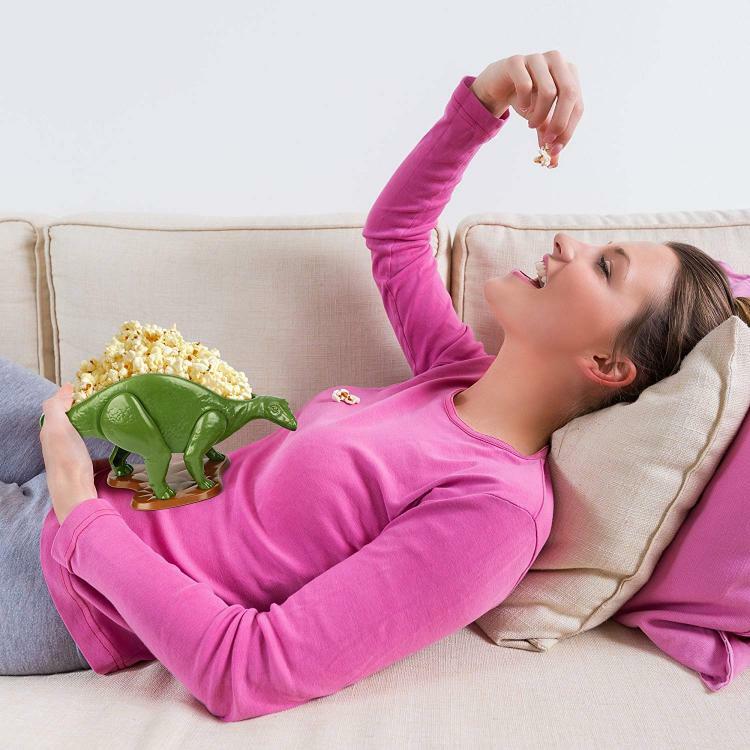 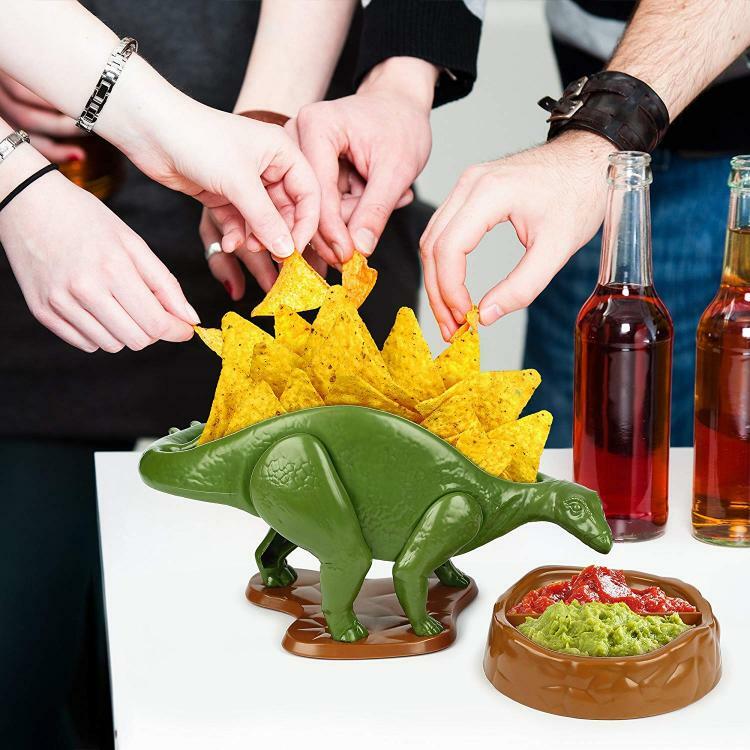 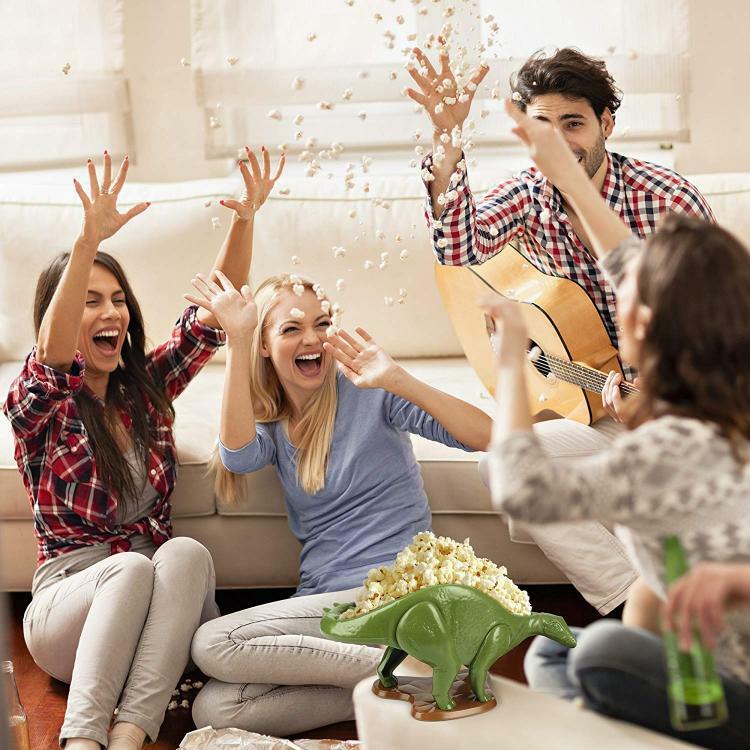 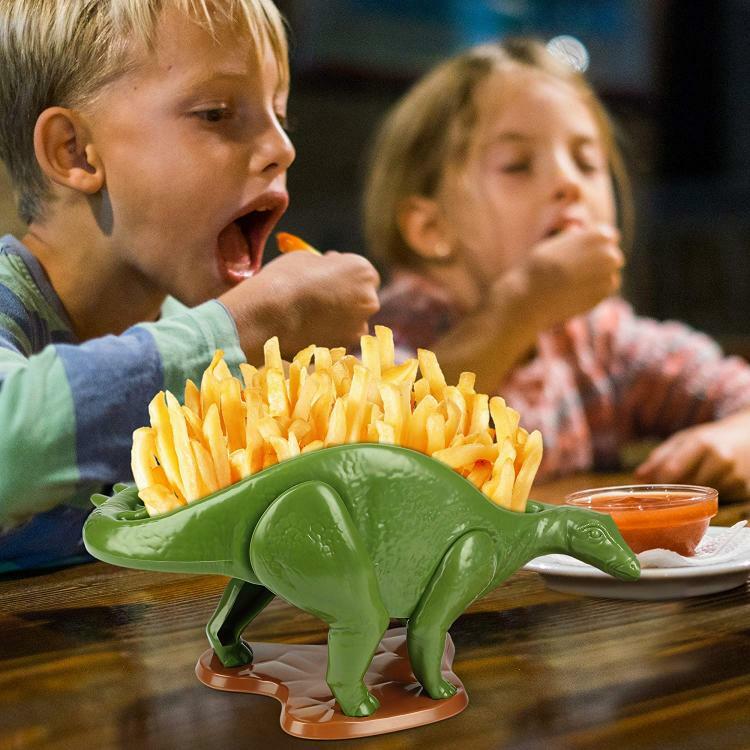 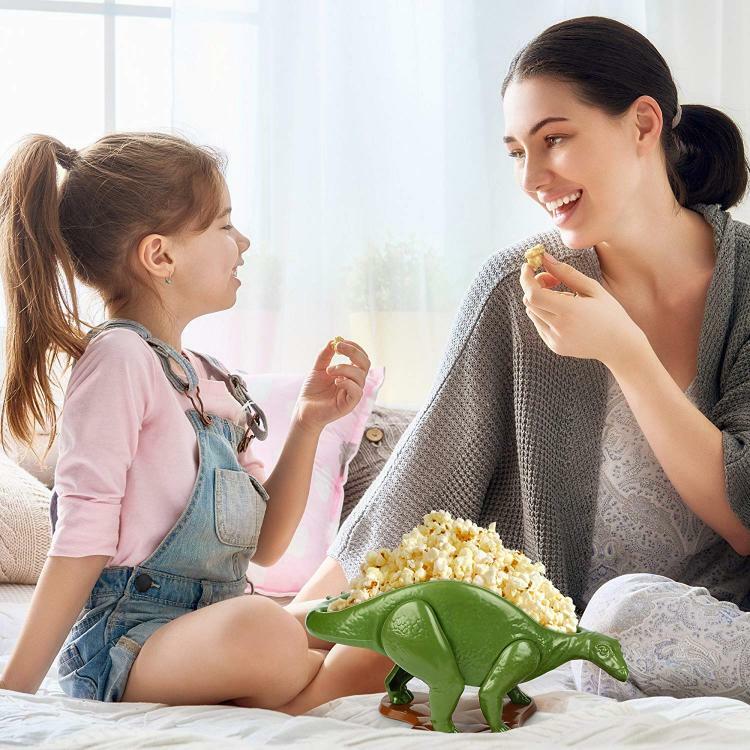 The dinosaur snack bowl and dip bowl set are perfect for holding all sorts of different snacks, such as Dorito style chips which make for the best looking snack on the dinosaurs back, along with popcorn, pretzels, french fries, candy, nuts, or really whatever your little heart desires. 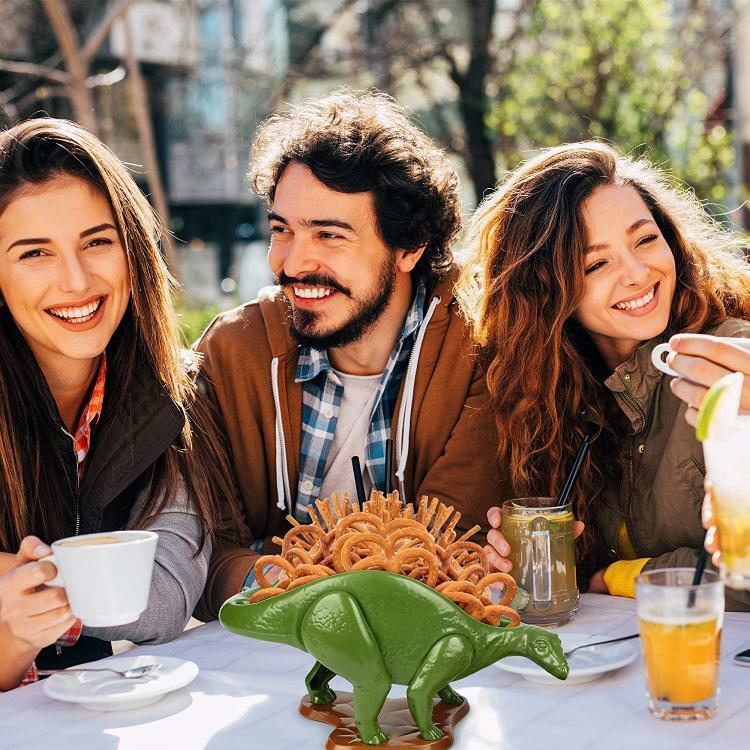 The dinosaur snack bowl is the perfect snacking vessel for kids parties, college parties, or just for a great gift idea for dinosaur lovers! 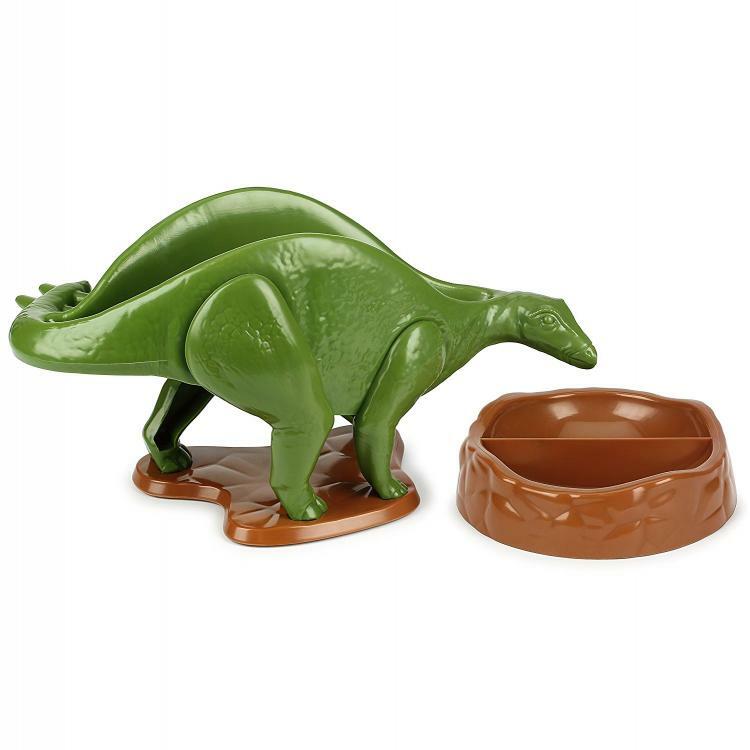 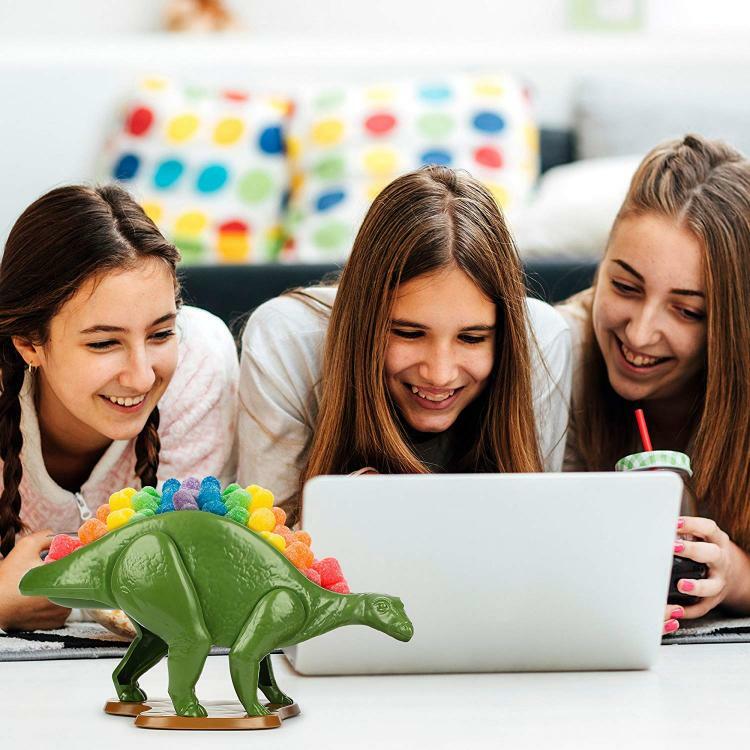 The dinosaur bowl is made from food-safe ABS plastic, are BPA free, lead free and phthalate free to meet all food safety guidelines, and measures 9 inches long x 4.2 inches deep x 4.5 inches tall. 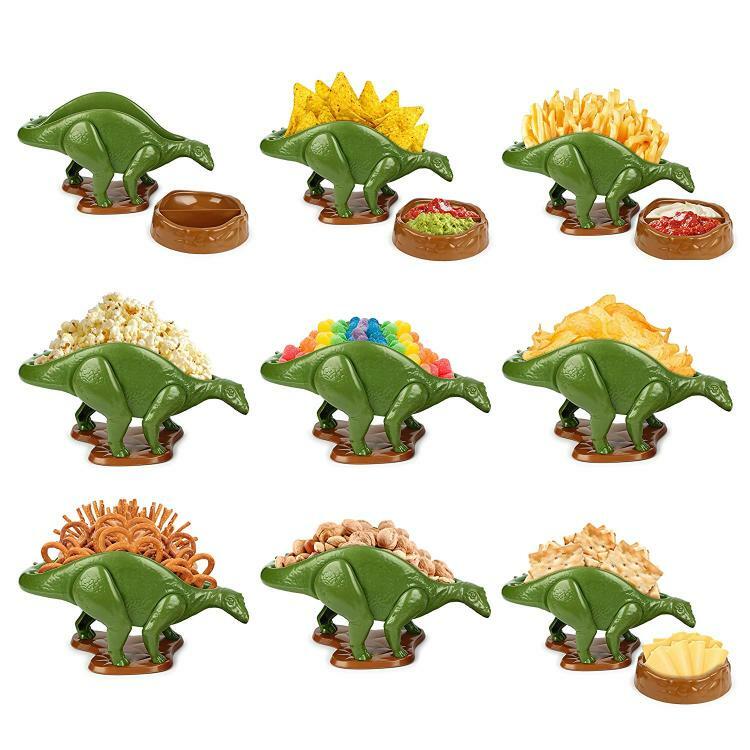 Check out the Stegosaurus snack bowl and dip bowl set in action via the video below.